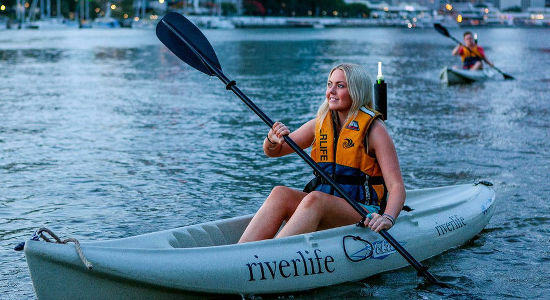 Perfect for adventurous Brisbane locals or visitors to the region, this kayaking tour with an optional dinner, is a great way for the lucky boy, girl, man or woman, to take in the sights of Brisbane's skyline. This is a great gift for any and all occasions and is something different to do in the Queensland capital. You can choose to gift them a guided 1.5-hour kayaking tour during the day, a Friday night twilight kayak (with an option prawn platter - yum! ), or a Saturday night kayak with an optional BBQ. A gift suitable for outdoor and adventure lovers, choose your voucher below and start gifting! 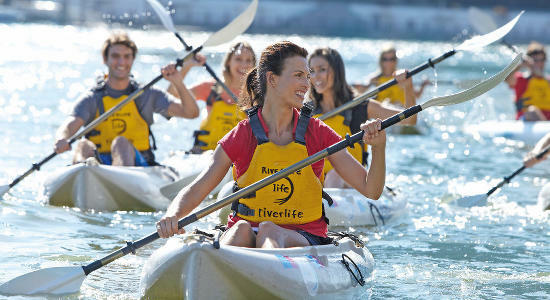 Give a hour and a half long Brisbane river kayaking tour voucher for them to enjoy the city from the water. 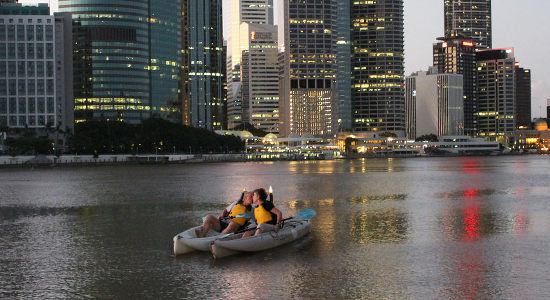 They'll head out to explore the waters of the Brisbane River during this Friday night kayak in Brisbane. Can also include an optional prawn platter. A Saturday night leisurely kayak up the Brisbane River followed by a traditional Aussie BBQ with lamingtons, soft drink, chilled water, wine or beer.